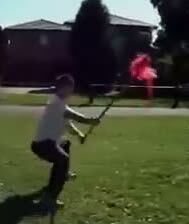 Five tiger spear, one spear of Shaolin Kung fu. Five Tiger spear is the Shaolin basic ten sets in one of the long weapons, Elam, take the plunge, dance, flower as main techniques, with avalanche, splitting, Liao, winding, such as marksmanship, combining martial arts lunges, empty step, steal a step, Ding Buhe equilibrium constitutes a set of marksmanship comprehensive, concise structure, dynamic the traditional routines as simple. It fully shows the marksmanship characteristics have a ready pen, cliffide flower, gun 扎 line, like the dragon.